Free IESE MBA Essay Samples | Aringo consultants are the top in the world! IESE MBA Essay Example #1---Question: If you look at yourself in the mirror, what do you see? Please give examples of both your strengths & weaknesses. One of my greatest strengths is my sense of curiosity, which has driven me in life to learn, explore and go outside my comfort zone. Professionally, it has enabled me at the companies I worked for to effect change, by helping me to see beyond how things work and ask how they can work even better. Personally, it appears in my passion for history and the hundreds of books and articles I’ve devoured. It even led me to live as a monk for 2 months, studying Kung Fu in the Shaolin Temple in China. Another strength is my will to achieve anything I set my mind to. It helped me to overcome my ADHD by developing my own set of tools, rather than taking medicine. It was in my being the first soldier in my class authorized as submarine duty officer; and in campaigning and being elected every year of university to Student Union leadership. One of my greatest weaknesses, which I am working today to strengthen, is my tendency to think that simply proposing a good idea will be enough to get everyone on board. Experience has taught me that I must invest energy in explaining to my peers and managers why my idea will be beneficial and how it will work. Finally, there is my drive to improve the world around me. It can be seen in the volunteer program I initiated in 2009, which still exists today, with 30 volunteers annually helping dozens of children-at-risk from immigrant families. It’s in my weekly volunteering at an animal shelter. And it is was in my commitment as VP, Student Union, where I led changes that improved the learning experience of 25,000 students; fought for job security of our campus maintenance workers; and, as Board member, established the university’s first Benefits Club. IESE MBA Essay Example #2---Question: Describe a recent situation (1-2 years ago maximum) that demonstrates your fit with IESE's mission and values. The vision of every organization is ultimately driven by the values of its leaders. Growing up in the Holy Land, the birthplace of Judaism and Christianity, I am strongly connected to the ideal of posterity – of leaving the world better for future generations – an ideal I see expressed in IESE’s commitment to human dignity and ensuring universal prosperity. These ideals guided me in my first management position as a naval technological intelligence researcher. Upon my promotion, I received a new assistant who was intelligent, but confided in me early on that he was disinterested in serving in our unit, and wanted to ask for a transfer. I was discouraged by his lack of motivation, but sensing his potential, I looked for a way to unlock it. An effective leader should inspire commitment, not expect it. I conversed with him about his preferences, and endeavored to assign him projects that challenged and interested him, especially those that utilized programming skills. I encouraged him to send me his deliverables for second review, so that he would feel confident to be creative and make mistakes. I also invited him to come to me for help acclimatizing to the Navy’s strict environment. Demonstrating personal interest in his development had a significant impact on his morale and commitment. He told me how he found joy in our work, and even our unit commander commented on his transformation to an exemplary member of our department. Effective leadership requires recognizing every team member’s dignity and value. Taking courses such as “Leadership” and participating in the “Global Leadership Series” would help me to strengthen my leadership competencies and my toolkit for inspiring team morale. The IESE MBA will help me develop the skills to lead from a place of dignity and best practices for achieving posterity. I wish that IESE would ask me why am I so passionate about FinTech. I became attracted to the world of financial technologies in 2008, in the days of the global financial crisis. I was a first-year student of mathematics, fascinated by the crisis’ quantitative aspects. I learned that the financial sector had used sophisticated tools without being able to measure the risk exposures derived from such activity, and that understanding how to use advanced models and technologies is critical to FinTech’s success. While serving in the Navy for 5 years in technology-driven positions, I experienced how technology shapes the character of organizations and enterprises. I learned the impact that mathematical models can have on decision making processes, and how they can save manpower and money. My dream is to work at the intersection of technology and finance to help the FinTech industry effectively approach and mitigate its risk management issues. As a former guardian of public security and trust with the Israel Defense Forces, I am dedicated to making my country and the world a safe place, whether through the public or private arena. FinTech provides incomparable opportunities to fortify and protect businesses and economies across the globe. I wish that the application had asked me where I learned the most important life lessons. Expect hard work; consider recognition a bonus. Learn to stay calm under stressful conditions. Your superiors are human; don’t be afraid to disagree with them. Your subordinates are human; listen to them. Don’t be first to the dining table. But don’t be last. If your friend asks you to cover for him, cover for him. Don’t ask why and don’t expect an immediate return on the favor. It doesn’t matter where you are; even trapped in a sardine can, hundreds of meters below the water, if you are with those you love, you’re home. Stay positive even when plans change. It feels better and those around you will appreciate it. If you make yourself a cup of coffee, make two; you’ve got two hands. Leading by example is the strongest kind of leadership. When you’re new on board, be patient. Don’t be eager to shine before your time. Whatever you do, give it your best; shortcuts will only diminish you. My short term goal after my MBA is to join a top tier consulting firm in Europe, such as McKinsey & Company or BCG. Having gained experience as a PwC consultant, working with hi-tech and bio-tech companies, I plan to specialize in managing consulting projects within the Ed-tech or digital health space. IESE’s use of the case-study method style of teaching will be a great preparation for dealing with my clients’ problems, and will enable me to exploit the rich diversity of my classmates’ backgrounds. The Capstone (TFM) project, at the end of the first year, will be a great opportunity to practice real-world problem solving and present solutions to company executives. Classes such as ‘Mergers & Acquisitions,’ ‘Internet Enabling Strategies’ and ‘Managing Corporate Growth,’ which address core consulting topics, will broaden my business knowledge and hone skills essential for a consultant. I am also excited to join the Consulting club, where I can forge connections with fellow students who share my goals, as well as prepare for internship and job interviews. 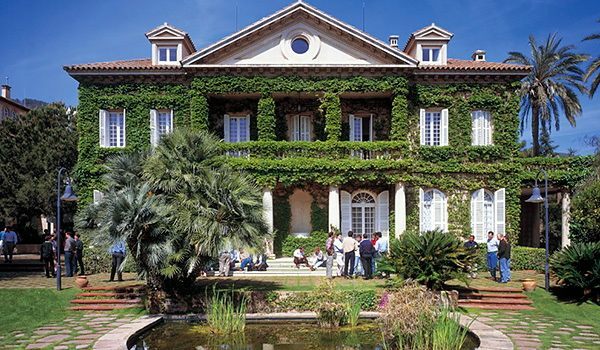 IESE’s career services will also play a large role in helping me to land my ideal position, by organizing career forums, and treks to consulting firms, to meet with their recruiters. In my mid-term goal as Engagement Manager, I will be leading consulting projects. My military experience as an officer, leading groups of people to accomplish missions, has provided a strong platform. To enhance my leadership skills, I intend to take courses at IESE, such as ‘Consulting Soft Skills: the Craft of Consulting Proposal Writing’ and ‘Creativity for Managers.’ These courses will allow me to put myself in the shoes of the decision makers and learn from their experience. How can you improve your IESE MBA Essays?